Here's another portrait. 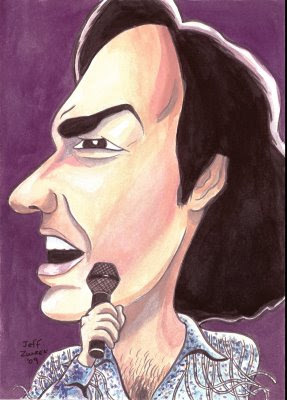 This one was done for my mom and is of here favorite musician of all time, Neil Diamond! As a result of her love, I know all of his songs and have the embarrassing home video karaoke to prove it. Thanks Jen, the original even has glitter glued onto the shirt. Oh those Hot August Nights!